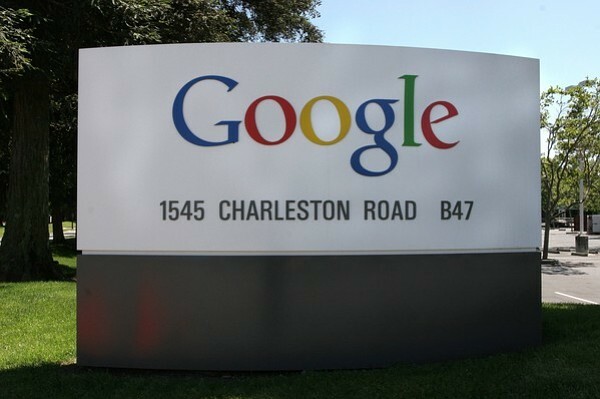 This 05 June 2005 file photo shows the logo of internet search engine company Google at their headquarters in Mountain View in Silicon Valley, south of San Francisco. Google is among more than 260 companies vying for wireless licenses to be auctioned in January 2008, which could allow the search giant to extend its reach to the mobile Internet. Google knows nearly every WiFi password in the world, according to a new report published Thursday in a prominent tech website. Computerworld’s Michael Horowitz explained in his “Defensive Computing” blog that if you, or even a friend, have logged on your WiFi network with an Android device, chances are Google has your secret password stored in their servers. The revelations come as tech companies face backlash from consumers for sharing sensitive data with government agencies. According to a report published last week, the National Security Agency (NSA) can access user data on all major smartphones — including Androids. The Daily Dot, a publication with brands itself as the “Internet’s community newspaper,” echoed privacy concerns in a Friday post.